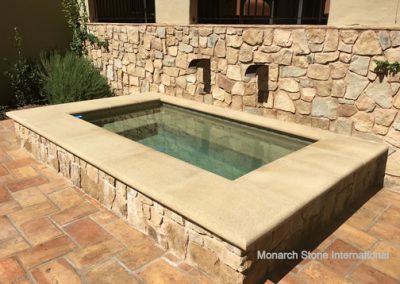 Santa Barbara Sandstone is a unique and beautiful sandstone indigenous to Santa Barbara, Montecito and nearby areas in California. 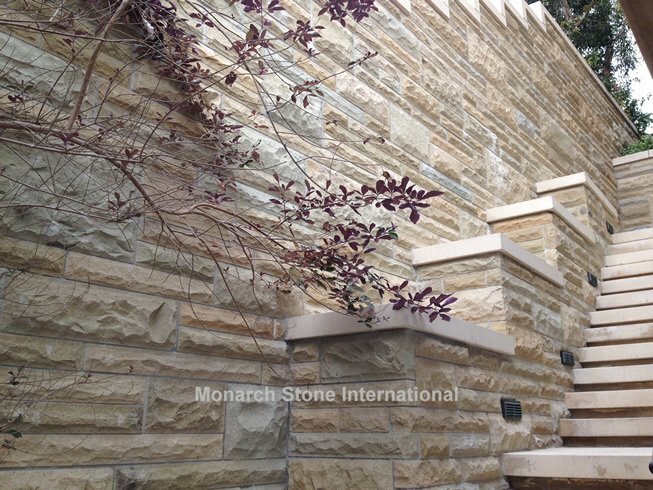 This area sits on a geological formation which produces the famous golden or buff colored stone. 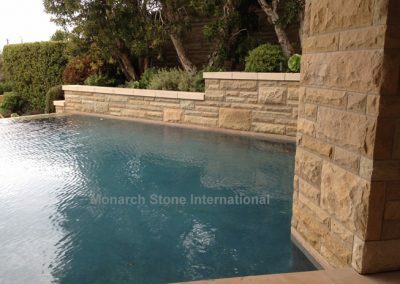 Santa Barbara Sandstone in its natural state is harvested as boulders and famous for its texture and work-ability. 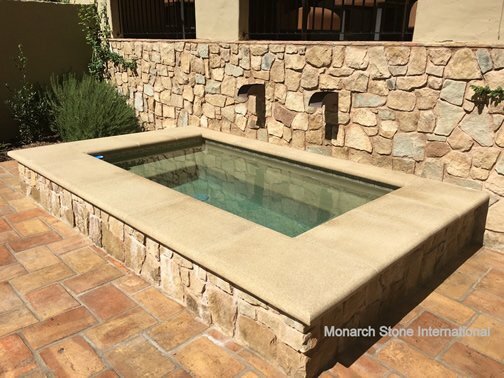 For over a century, it has been popular on many prominent public buildings and residences in Southern California. 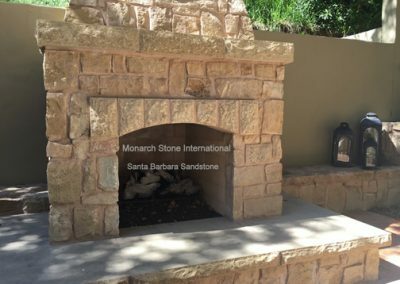 Our company offers Santa Barbara Sandstone in several products.The natural stone is hand split to expose the warm golden color and then hand trimmed to produce the variety of patterns available. 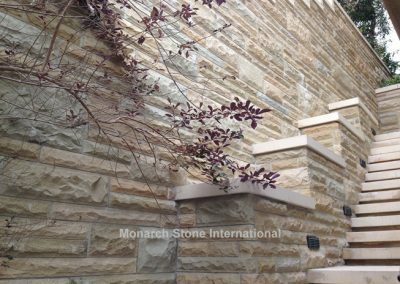 Boulders are hand-cut with the masonry installer in mind; you will find our products require very little trimming for custom veneer applications. 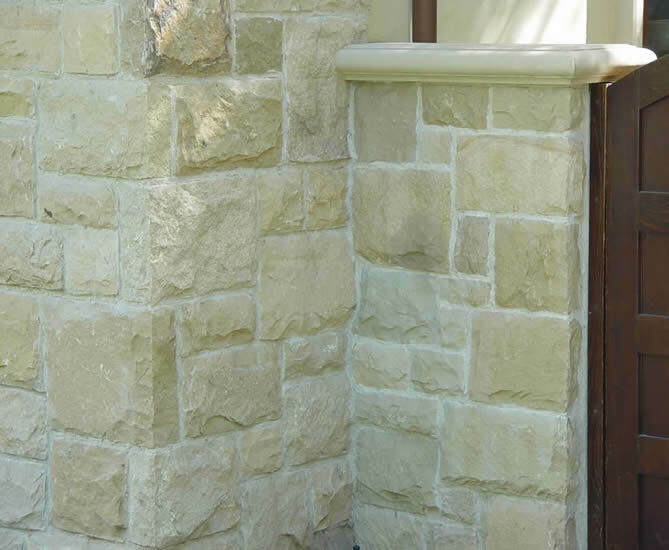 Patterns include hand fabricated Rubble as seen above, and Five Point patterns to recreate the look of Old-World, Tuscany, French Country and Spanish Colonial architecture. 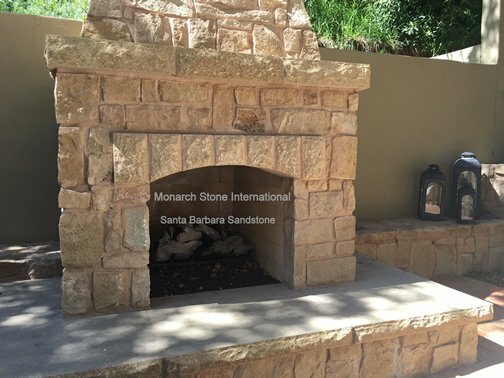 The Five Point pattern is the most commonly used veneer throughout Santa Barbara. 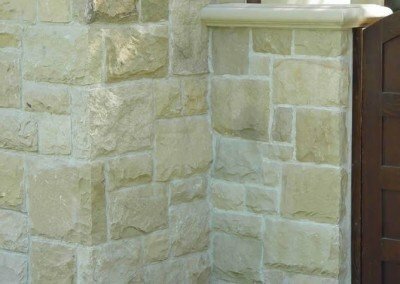 An Ashlar pattern is an option available for a more contemporary or mid-century look. 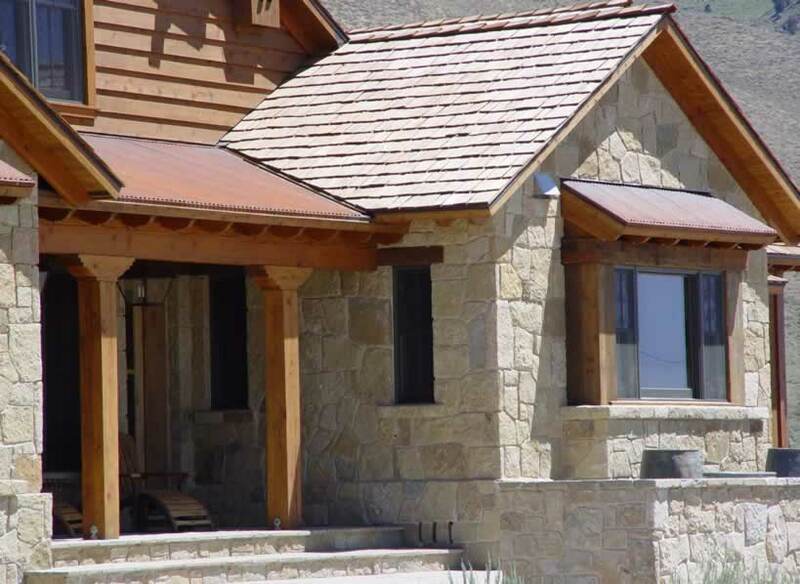 Visit our gallery for images of all these beautiful options. 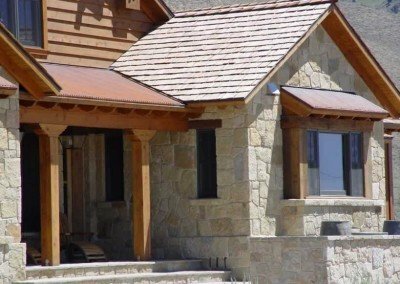 Saw cutting and fabrication is available for dimensional pieces such as sills, coping, treads, flooring and full or thin veneers. 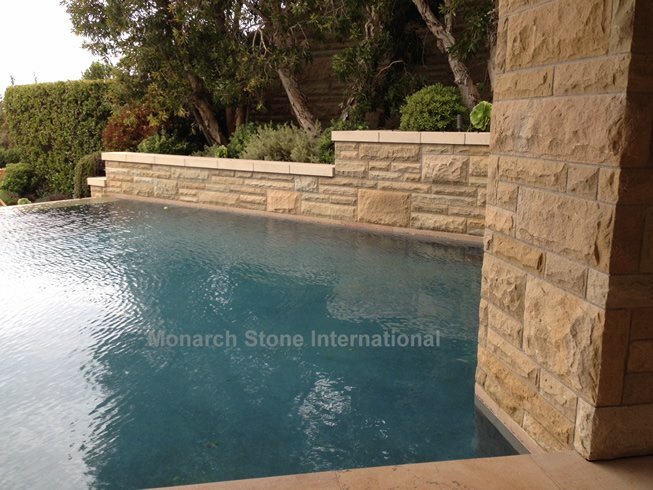 Our ability to provide your project with this handsome native California stone, is second to none.